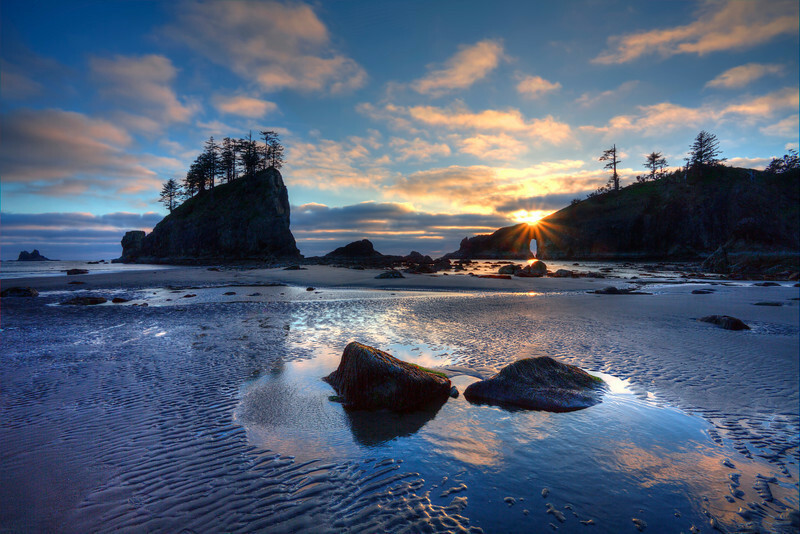 I grew up about 69 miles east of this remote beach on the Olympic Peninsula. I always enjoy coming here to reminisce about my childhood and experience the natural beauty. Second Beach is "my home away from home", it brings me peace, tranquility, and fond memories of family & friends. What a glorious stretch of beach--can see it being your "heaven". Incredible seascape, gorgeous reflections, patterns in the sand, comp, position of the sun! Beautiful shot! We visited this place while we were living in Sequim. We had lots of fog that day. I love the colors and comp! Wonderful shot!